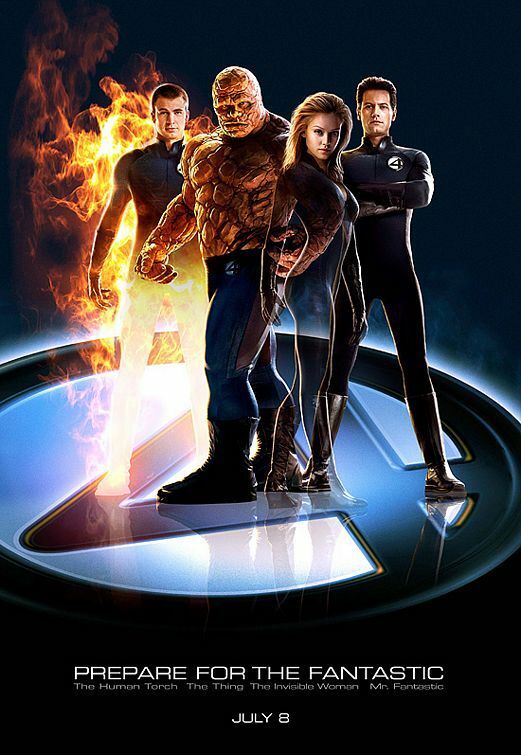 Synopsis: Inspired by the Ultimate Fantastic Four comics, Josh Trank (Chronicle) co-wrote and directed this origin story reboot of the Fantastic Four franchise. 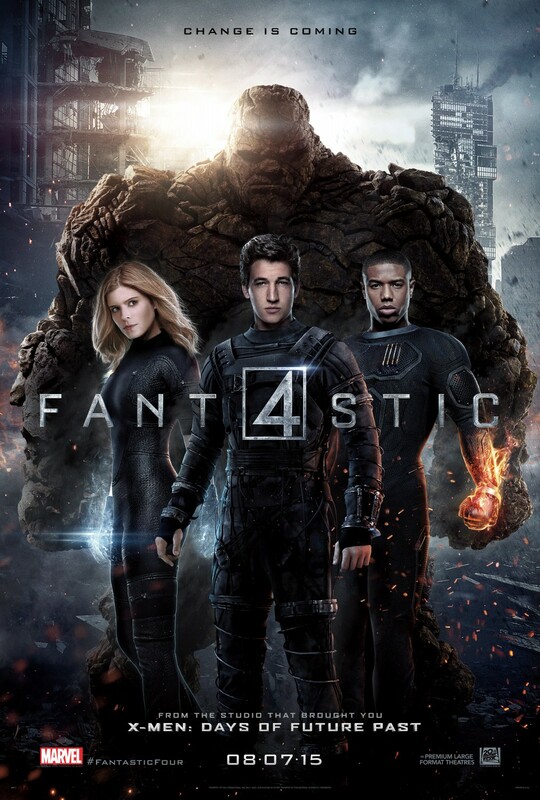 Reed Richard (Miles Teller), Ben Grimm (Jamie Bell), Susan Storm (Kate Mara), her brother Johnny (Michael B. Jordan) work on an experimental teleportation device that leads to an alternate and dangerous world. Contact with the strange new space alters their physical forms, giving them strange powers and abilities. 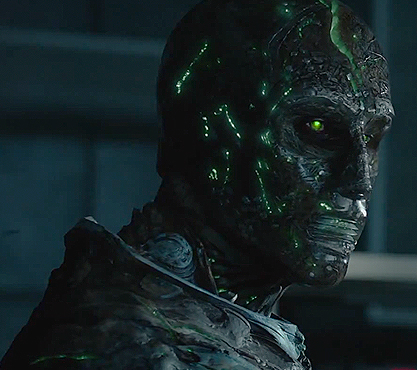 As the four learn to control their new abilities, Earth becomes endangered by a former friend turned enemy, Victor Von Doom (Toby Kebbell). Film Review: There’s a lot about this film that’s been said, specifically on the negative reviews and numerous stories about what went on during filming. This review won’t divulge completely into the drama that went on behind the scenes, but simply focus on the opinions of a non-conventional film reviewer. Fantastic Four is third attempt at establishing a film franchise based on Marvel’s First Family and the second attempt by 20th Century Fox. The first attempt was a low-budget film that was made in 1994 but never released, although it has resurfaced on YouTube and become something of a cult classic. The second attempt, the first one by 20th Century Fox, spawned two films between 2005-2007 and were directed by Tim Story (Barbershop, Think Like a Man). The sequel, Rise of the Silver Surfer was a modest success at the box office, but it was enough to convince 20th Century Fox to not continue with a third film (or a Silver Surfer spin-off) and simply rebooted it. The reboot was intended to be a grounded, character driven, more dramatic and emotional take on the characters, distancing itself as much as possible from the 2005 and 2007 films. It was also influenced by Ultimate Fantastic Four comics, featuring younger takes on the characters and a different origin of their powers; instead of encountering a cosmic storm in outer space, they gained their abilities from a teleporter experiment gone wrong. One thing 20th Century Fox wanted to do with this film was make it character driven, but the problem is that character development is relatively non-existent. We get a glimpse at why Ben and Reed are so close, but other than implying that there’s a closeness between Ben, Sue, Reed, and Johnny, there’s zero development to support this. Because of all this, it takes until the 45 minute mark for everyone to gain their powers, and then another ten analyzing that something is wrong with each character. The reveal of their powers wasn’t a subtle approach like in the 2005 film; the reveal was horrifying and disgusting reveal that would belong in a tame version of The Human Centipede than a comic book movie. The film doesn’t even allow the characters to adjust to their abilities; it just skips to one year later and in a minute of dialog exposition, reveals what their powers are and imply they’ve learned to control them. It’s implied that the government created customized suits to help hone their abilities, such as Johnny’s suit having an on/off switch to activate his flaming powers, but the film doesn’t address it. While it’s likely this is just a lapse of continuity due to the re-writes from the superiors at 20th Century Fox, it’s inexcusable, especially for a film that beat you over the head with drawing out details of how the scientific process of the teleporter worked. One of the film’s fatal flaws was the portrayal of its characters, which left most of them uninteresting and unlikable. The Internet was outraged when Michael B. Jordan was cast as Johnny Storm and the consensus (outside of his race) was that he was horribly miscast. In reality, Jordan wasn’t the biggest miscasting of the film; it was Miles Teller. Teller was badly miscast as Reed Richards/Mr. Fantastic and his portrayal didn’t come off as convincing. In the comics, Reed Richards is highly intelligent and lacks social skills, but Teller’s take on the character made him a character that nobody would really find interesting to socialize with. Throughout the movie, Teller’s performance comes off like he was bored, complete with monotone dialog, lack of emotion, and stiff facial expressions. Reed comes off as extremely unlikable and for a character known as Mr. Fantastic, Teller’s portrayal was anything but that. He didn’t resemble the leader of the Fantastic Four, nor did he display any hints that his character could develop into one. Toby Kebbell’s Doctor Doom was as laughable as his physical appearance. Another terribly miscast actor was Toby Kebbell, whose portrayal of Victor Von Doom/Doctor Doom was downright pathetic. Compared to any previous portrayal of the character, and that includes the cartoon series, his character comes across as one of the most pathetic villains on film to date. He’s an anti-social geek that has a gloom and doom approach to life, hence his nickname “Doctor Doom,” which is the cheesiest set-up for the villain’s eventual name. When he becomes Doctor Doom, his motivations that put the Earth in danger are as a result of an angry and whiny individual that happens to be powerful, and not very menacing. Kebbell’s performance was flat; even as Doom he lacked any villainous traits and tones and his factor into the plot didn’t occur until the last 25 minutes. Every film attempt of Doom has not met expectations and this version of the character is so butchered that the portrayal, along with the mutated freak-show appearance, is laughable. Jamie Bell’s performance as Ben Grimm/The Thing doesn’t suffer quite as drastically, but his performance was forgettable. While he did okay as Ben Grimm before turning into a hunk of moving rock, he lacked the charm or tough guy persona that made Michael Chiklis shine in the previous portrayal. The filmmakers took a more CGI approach to The Thing rather than the prosthetic makeup, but it didn’t change the fact the character didn’t provide much to the film outside of looking bulky and titanic strength. However, that’s not to say the entire cast was dreadful; Michael B. Jordan actually did respectably well. There was controversy over his race the moment he was cast for the role. It’s hypocritical to think he couldn’t pull off the role, especially since most of the Internet didn’t complain when Samuel L. Jackson was cast as Nick Fury in the Marvel Cinematic Universe. Jordan did well with the script he was given, maintaining the hotheaded, arrogant and humorous aspects of what makes Johnny Storm the character that he is. However, his screen time was limited due to more of a focus on Reed and Victor, depriving the audience of a character that’s remotely likable. The producers didn’t think people would notice the wig? 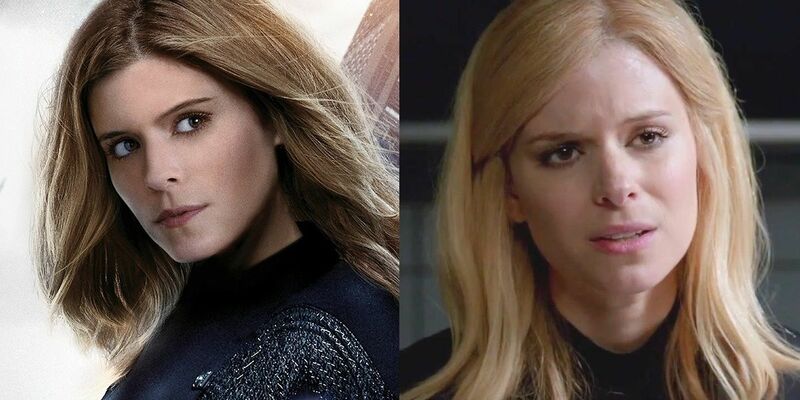 The other actor that did respectable was Kate Mara, who performed a much better version of Susan Storm than the previous attempt by Jessica Alba. While Alba was cast for her visual appeal rather than acting ability, Mara brings a blend of beauty, brains, and independence to the role, resulting in a more well rounded character, something that the rest of the cast drastically lacks. Unfortunately, her performance is overshadowed by the awful blonde wig she wears in the second half of the film. Mara originally dyed her hair blonde, but she cut her hair before the film needed scenes re-shot, resulting in a very fake looking blonde wig. The wig was distracting enough that it overshadowed her performance, especially when her hair shifted between real and wig in the same scene. On a technical standpoint, this film lacked natural light. The majority of the film took place indoors or against a green screen, dominating the screen with boring colors that lack warmth and visuals that make you feel claustrophobic. It felt as if the production team wanted to get away from feel of the 2005 film, so they got rid of the cheery, bright and colorful looks. They succeeded, but it resulted in a film that was visually unappealing to watch. The grounded approach to Fantastic Four didn’t help make the film entertaining; it made it feel long and drawn out with no payoff. It didn’t even have the feel of a comic book film; if anything, it felt like another version of Chronicle, which Trank also directed. One of the big criticisms of Man of Steel was that film was considered too serious with the grounded approach, but it at least had action and a plot that kept you drawn in from beginning to end. The problem with Fantastic Four went very serious with the tone, almost as if the film was embarrassed to be associated with comic books. It spent too much time introducing characters and less time moving forward with the plot, resulting in an ending that didn’t pay off. The action in the film is very limited, with the only action packed part of the film coming in the last 20 minutes. In fact, most of the action packed sequences you see in the trailer are basically what the ending of the film is, making this a trailer-movie. With superhero films, the action is supposed to be awesome and display the heroic tendencies of the main characters, but in Fantastic Four, the action felt tacked on and didn’t feel heroic. In the end, this remains the superior Fantastic Four film. Fantastic Four is anything but fantastic. From uneven pacing, a re-shot ending that made the film feel like two separate entities, lifeless characters and outdated CGI, Fantastic Four is a failed attempt to capitalize on the success of Disney/Marvel Studios with no direction of where it wants to go for a potential franchise. 20th Century Fox has made it clear they want to make a sequel to this movie. Hopefully, common sense will prevail and the studio will save time and money to not move forward on a sequel nobody wants to see. There have been notoriously bad comic book films in the past, specifically abominations such as Superman IV: The Quest for Peace, Elektra, Ghost Rider, Batman & Robin, Catwoman, Green Lantern, Jonah Hex, Hulk, and the 1990 version of Captain America. But despite how notoriously bad those films are, they’re superior compared to Fantastic Four. Save yourself the time and money by sticking with the 2005 version and its sequel. They may not the best of the superhero genre and rely too much on humor, but they’re enjoyable and fun enough that they’re easily re-watchable, unlike this ill fated attempt. Reblogged this on Stuff I Like to Blog About. The wig ruined it all for me. hahaha. Character development was nonexistent. Pathetic movie! Nice to know I wasn’t the only one that felt that way. I seriously laughed near the end where Johnny and Reed embraced like they had a close friendship. I remember sitting there going “Wow, that didn’t feel forced or anything.” Absolutely wretched movie. I can’t imagine Trank’s vision of the movie before the meddling from Fox would have been much better.